There are ghosts in the past of every soldier who has ever stood upon the field of battle and seen the blood of friends and foes mingle in the dirt, mud and sand. Tanelsa's first command still haunts her in dreams, haunts her with the faces of those she loved and those she lost in the sands of the Green River. 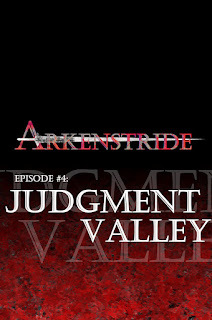 Stand with the Knights of Liada, stand with the fallen, and descend through Judgment Valley in this powerful, fourth episode of E.S. Wynn's epic: ARKENSTRIDE.